IDDI is delighted to announce the appointment of Jean-Pierre Bizzari, MD, as a new Board Member. Dr. Bizzari brings 35 years of industry experience in oncology drug development with major contribution to the approval of multiple leading anticancer agents such as Taxotere®, Eloxatin®, Abraxane®, Irinotecan® (CPT-11). Jean-Pierre Bizzari served as Executive Vice-President, Group Head, and Clinical Oncology Development (U.S., Europe, and Asia/Japan) at Celgene from 2008 to 2015. He is a member of the Scientific Advisory Board of the French National Cancer Institute (INCa) and European Organization of Research and Treatment of Cancer (EORTC) and Chairman of the New Drug Advisory Committee. 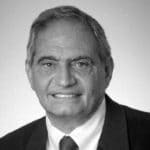 Mr. Bizzari is also an active Board Member in various biotech companies, such as Transgene in France, Halozyme Therapeutics and Pieris Pharmaceuticals in the US. He has published more than 70 articles in peer-reviewed journals and more than 160 abstracts in scientific congresses. Jean-Pierre Bizzari joined the pharmaceutical industry in 1983 as Head of Oncology at the Institut de Recherches Internationales SERVIER (France). He then joined Rhône-Poulenc Rorer in 1993 as Vice President of Clinical Oncology, based in Paris and moved to Collegeville (PA – USA) in 1997. From 2002 tol 2008, Mr. Bizzari served as Vice President of Clinical Oncology Development at Sanofi-Aventis in Malvern, PA before joining Celgene. We are honored to welcome Dr. Bizzari to our Board. His extensive experience in the pharmaceutical industry will be highly valuable for the strategic development of IDDI.